The Permit to Work management module allows permits, with their safety rules, to be embedded in an electronic solution. This enables efficient management at every stage of permit authorisation. This module also allows safety compliance to be built in and managed. The Safe Work Permits module allows the client to reproduce and facilitate the use of each permit including Safe Work, Cold Work, Hot Work, High Energy, Work at Heights and Confined Space. 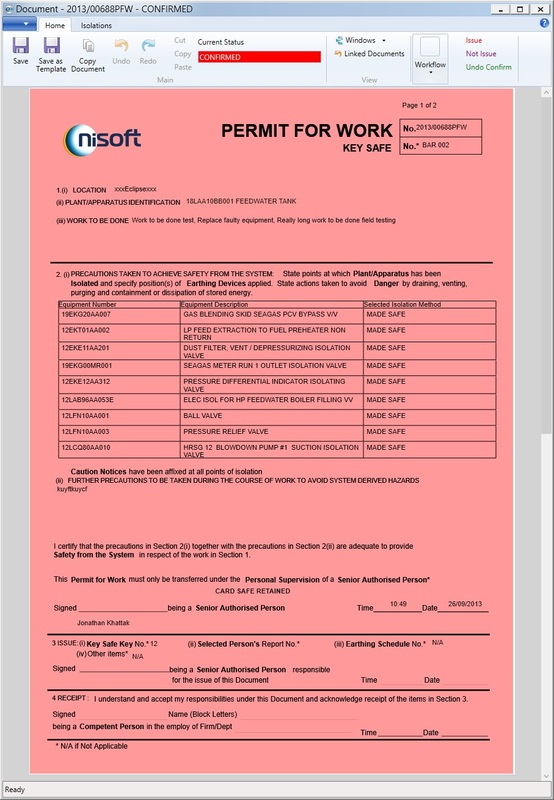 NiSoft will implement the client’s safety rules and procedures including printing each of the permits and any attachments as a work package. This enables efficient management at every stage including a full audit trail of the permit life-cycle, providing compliance in safety regulations.